Your credit plays a very important role in your life. Banks evaluate your credit when they're deciding whether to give you a credit card or loan. Prospective employers may review your credit (report) before hiring you for a job. To make sure your credit is in the best shape, you should check it periodically, making sure all the information is accurate. You can check your credit by ordering a copy of your credit report and your credit score. There are many ways to order both of these – some methods are free and others you must pay for. AnnualCreditReport.com – free credit report from each of the three credit bureaus each year. 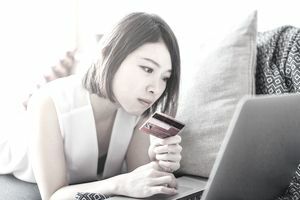 There's no credit score included when you order from AnnualCreditReport.com. Quizzle.com – free Experian credit report and credit score twice a year. CreditKarma.com – free Equifax and TransUnion credit score anytime. Free Equifax and TransUnion and credit reports, accessible anytime, updated weekly. myFico.com – Equifax, Experian, or TransUnion FICO score and credit report for $19.95. Equifax.com – Equifax credit report and score for $15.95. Certain states have laws that let you order a free credit report with no subscription. These states include Colorado, Georgia, Maine, Maryland, Massachusetts, New Jersey, Puerto Rico, and Vermont. Use the links below to order a free copy of your credit report if you live in one of these states.